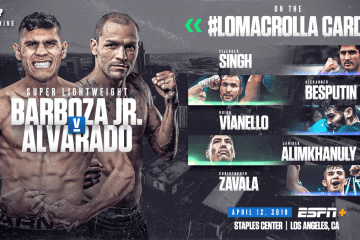 Super lightweight Arnold Barboza Jr. has the biggest fight of his career this Friday, April 12th, from the Staples Center in Los Angeles, California, against former world champion Mike Alvarado, on ESPN+. 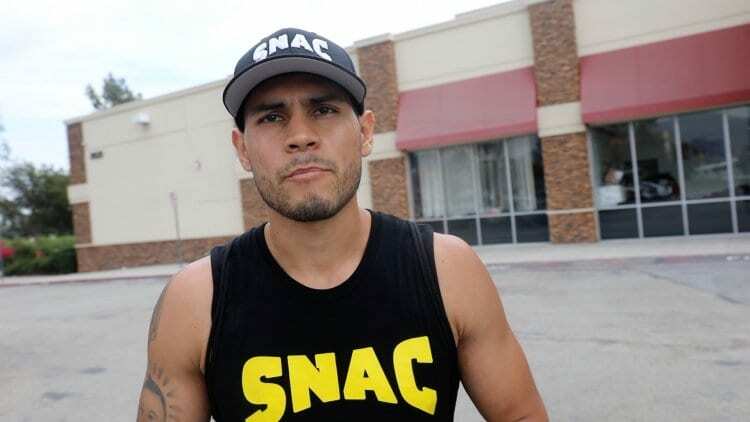 This fight is no surprise for Barboza, who was signed to Top Rank after being one of the main sparring partners for Mike Alvarado’s fight against Juan Manuel Marquez in Los Angeles, Ca in 2014, when Alvarado, notorious for his outside of the ring antics, moved his camp to L.A.
“This is a great fight for me on a great stage like the STAPLES Center and against a warrior like Mike Alvarado. He is a great fighter, but I come well prepared and ready to win this fight.” said Barboza at the media day on Tuesday. Barboza, who is fighting in L.A., his home region, and looks to make a statement that will propel him to a world title.